Eric Morris is one of the most controversial and exciting acting teachers in the history of American performance. Eric goes far beyond the Method in dealing with the actor's instrument in the belief that it is virtually impossible for an actor to learn or execute a process of acting without first eliminating the blocks, tension, fears, inhibitions, and other obstacles to expression. He teaches you how to deal directly with freeing the instrument, allowing you to become a "professional experiencer." 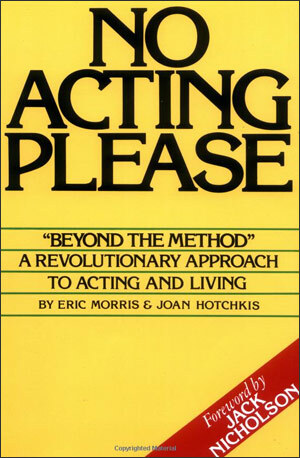 When I read a book by...Eric Morris called "No Acting Please," it put it all in perspective for me." - JOHNNY DEPP on "Inside The Actors Studio"
"If you want to be still and full, Eric teaches 'The Stuff'' - No one is more zealous in his pursuit of 'the work' than [Eric Morris]."